.............................................. 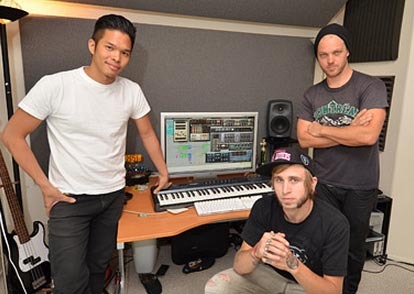 The Glitch Mob is a four man musical collaboration with roots from San Francisco and Los Angeles. What initially started as a joke/loose affiliation soon stuck as edIT, Boreta, Kraddy and Ooah found themselves frequently playing the same shows and eventually tag teaming during back to back time slots. This eventually led to the four man sonic onslaught of ferocious bass, head cracking drums and infinitely complex rhythms. A proverbial Voltron effect on stage. 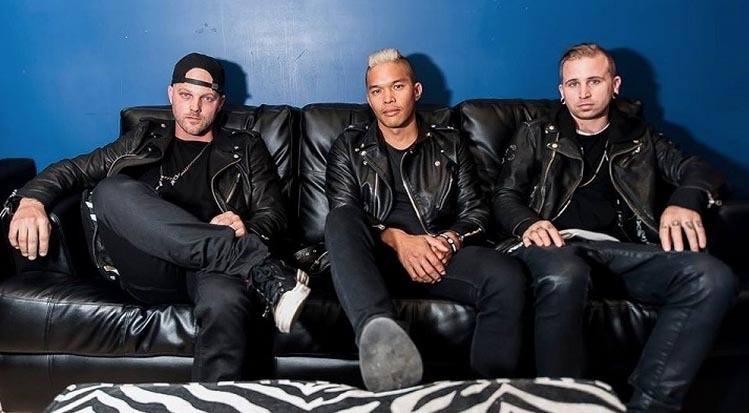 Taking influences from hip-hop, experimental, and dance genres, The Glitch Mob have crafted their own form of futuristic dance floor hip-hop that has been "slaying" audiences world wide. Their live sets reinvent the dj “tag-team” concept with four performers on stage at once, interacting like a jazz combo, each taking the lead at intuitive moments, interweaving their own sounds, and remixing everything on the fly. The Glitch Mob's first album Drink the Sea peaked at number 57 on the CMJ Top 200 Chart for College Radio. 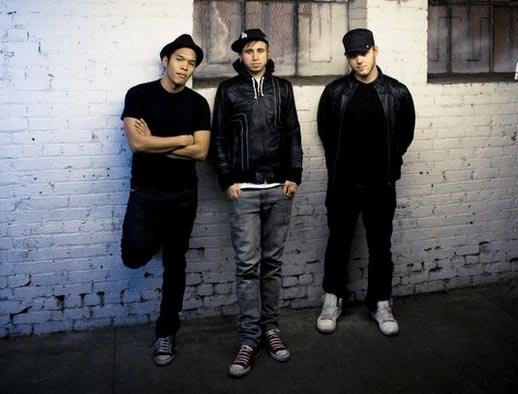 The album's debut led Electronic Musician to run a cover story on the trio.Their single "Drive It Like You Stole It" was number 2 on XLR8R's Top Downloads of 2010 list. 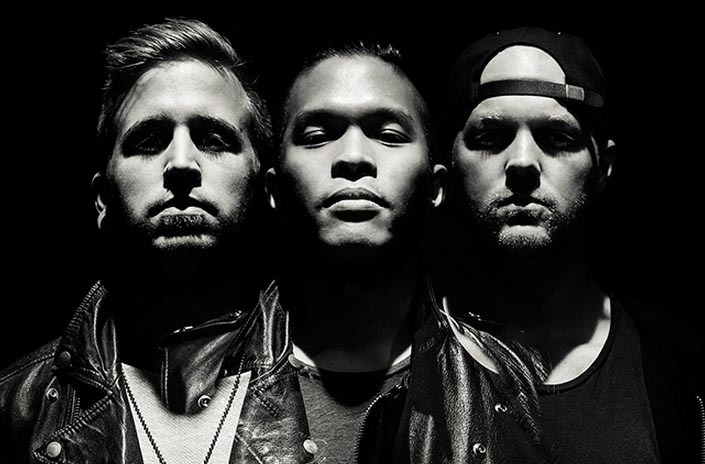 The sophomore Glitch Mob album Love Death Immortality debuted at number 1 on the Billboard Dance/Electronic Songs chart . 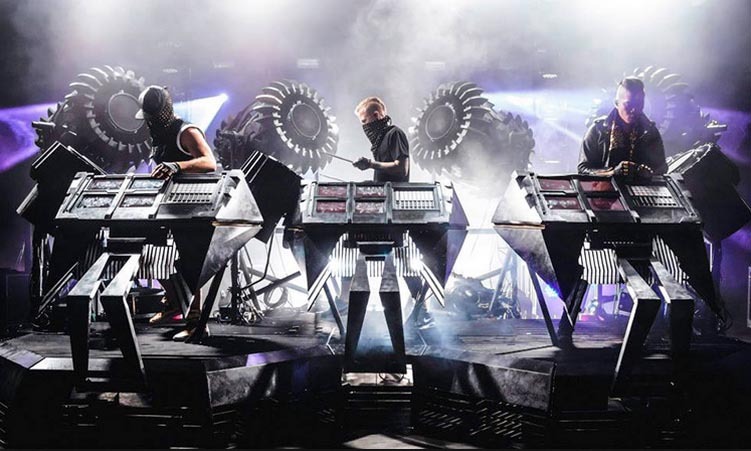 During their 2014 tour The Glitch Mob performed with a new musical element they called "The Blade." Built by movie set designers, it is a customized, painted set piece that houses both lights and instruments. In an interview with Sound of Boston Josh Mayer explained, "It really represents who we are and what we’re trying to say, and it’s just a functional thing that lets us play our music the way we want to play our music."